Getting a personal wedding website (wedsites) for your wedding is the coolest trend today as almost everyone is trying it, considering the aid it offers in the planning and communication during the whole process. It can be used to communicate with wedding guest, send them the invitation, inform them about the location, time, venue, etc. and also to share your gift registry with them. There are many platforms to get your wedding websites. One such platform which provides both free, as well as premium wedding websites that are not only easy to make but also gives you a whole range of options to customize your website according to your own will and choice, is eWedding. Wedamor – Tell us something about eWedding, the team behind, and how the idea was conceived? eWedding – the wedding wasn’t even planned initially! Amy and I were about to get married (all the way back in 2002) and I made a wedding website with us to share with family and friends. It was very rudimentary, nothing compared to what’s available today, but it shared our stories, photos and some details of the wedding day itself. The response we got from everyone was overwhelming, I thought “Maybe other couples could benefit from something like this!” With Amy’s encouragement, we started down this path. That was the seed that grew into the business we have today. Wedamor – Briefly describe the services/features you are offering through eWedding and what makes you different from your competitors? 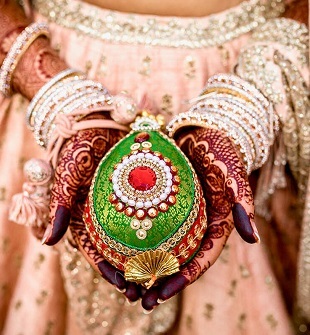 eWedding – We offer one of the easiest to use wedding website builders on the Net. Our couples don’t find it overwhelming or confusing, we built it to be as simple as possible. We also focus on quality designs, not pumping out large numbers just for the sake of numbers. We’re actually working on a whole new host of tools and are so excited to release them in the coming months. They offer more options and wedding planning organization than any tools in the market. We also offer very cool functions like real-time text messaging when your guests’ complete forms on your website, like RSVP. We have so much in the pipeline, but I can’t spill the beans yet! Wedamor – Good to hear that. Was it difficult for you to pull couples to try the concept when you started, considering it as new and outlandish? What was the initial reaction you got from them? eWedding – As I mentioned earlier, the first version of eWedding came out almost 15 years ago! There were hardly any other services doing this then, so couples flocked and helped us grow extremely fast. Since then, we have had couples from nearly every country around the globe using our services. We’re so proud to be able to help so many people. 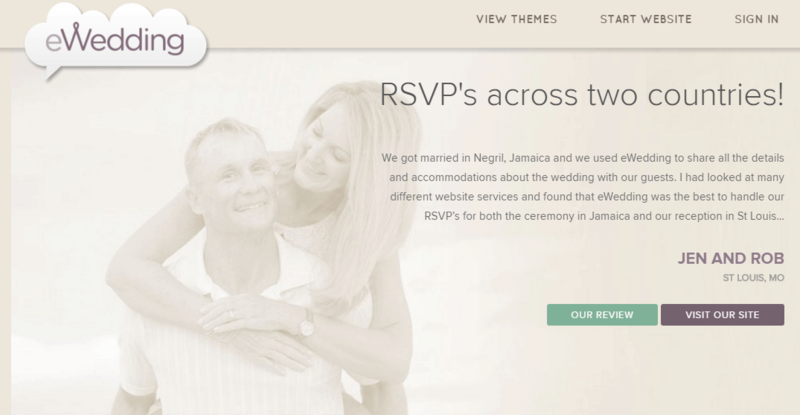 Wedamor – Why do you think couples must try and have their own wedding site (Value Proposition)? 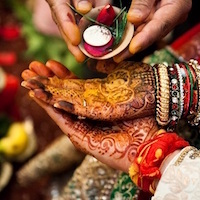 eWedding – Wedding websites are about so much more than just a photo and some dates. We’re really building in extreme usefulness to help automate the couples planning processes and to save them time and stress. Some of those features include Our Total RSVP system. It consists of an Open RSVP option that allows anyone to RSVP for their events or our Closed RSVP system that bases the RSVPs off the couple’s guest list. There’s nothing worse than an awkward un-invite, couples need to be able to control who sees what and which events they’re invited to (and which ones they’re not). We’re just launching our updated registry system this month. You can link to a standard store registry like before, but so many couples are now raising funds for their honeymoons. We now give couples the option to collect money right from their wedding website to put towards honeymoons, home down payment, or any other gift they want to put it towards. The money is then deposited right to their bank account. It doesn’t get better than that, right? 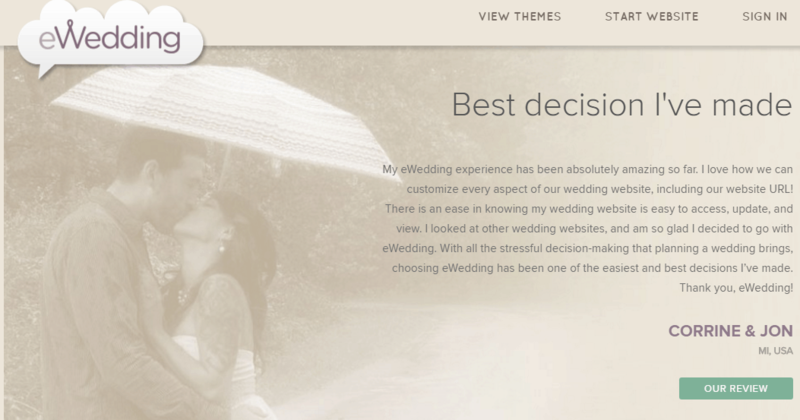 Wedamor – Would you like to share some sample wedding sites (Images + links) made by users at eWedding with our audience? 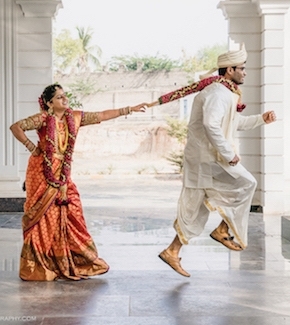 Wedamor – What has been your biggest challenge so far in starting and running eWedding? eWedding – The only challenge we run into is time. We have so many plans and tools in the works, it just takes more time to push them out then you want. We’re nearing our major update though, so we’re all excited as we complete this massive release. eWedding – It has been awesome! How great is it to have a job where you can help young couples around the world plan for their big day! We love pushing forward as new technology allows us to offer even more planning and automation tools. We have so much to come down the line that we can’t wait to release to the couples around the world!